The Gist: gluten-free with Laura Bennett, and gift cards with Shelly Hunter. Slate’s Laura Bennett talks about being gluten-free in the days before it caused waiters to roll their eyes. A picture of Laura as a child. 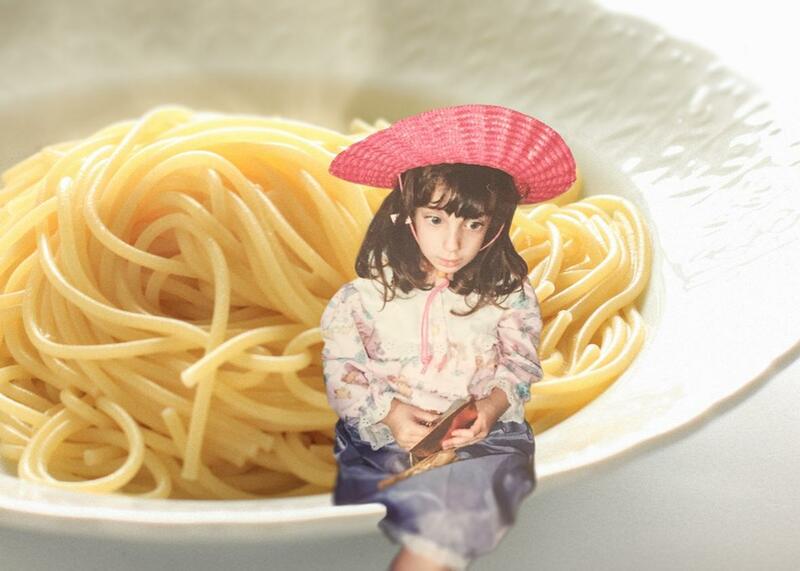 Sitting on pasta. Photo illustration by Lisa Larson-Walker. Photo courtesy Laura Bennett. On The Gist, Slate’s Laura Bennett explains what it’s like to be gluten-free since the ’90s. She recently wrote “I Was Gluten-Free Before It Was Cool.” Plus, what should we do with all our RadioShack gift cards? We speak with our “gift card girlfriend,” Shelly Hunter, for ways to make gift cards and pre-paid cards go further. For the Spiel, we go deep on U.S. secretaries of state. Today’s sponsor: Volvo. Have a month’s payment on Volvo and spend your summer doing the things that matter to you. Plus get up to five years of full coverage, including wear and tear. Go to volvocars.com/us.